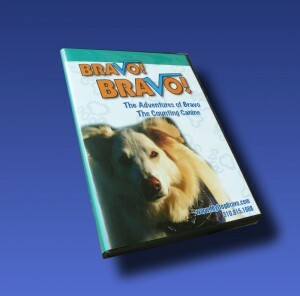 “Bravo Bravo – The Counting Canine” is an 18-minute High Definition short which tells the story of how Jillian Gotlib rescued Bravo and discovered that this remarkable dog had an unusual ability to count. Working with professional dog trainer John Flanagan, Jillian and Bravo developed a remarkable rapport. It was clear this dog had an amazing aptitude for math and coutning. The film also shows Jillian and Bravo as they make impromptu visits to local businesses where proprietors and customers are amazed by Bravo’s unusual abilities and sweet personality. Production and Post-Production by LightningBolt PIX. Directed by Michael Barnard. Watch a few minutes of “Bravo Bravo – The Counting Canine” below. © Copyright 2019 - Michael W. Barnard | Web Development by DGT Creative - KillerLight theme by Simon Smith, with some Silk icons.